Ladies Ladies! Get ready to groove this wedding season with Haute Couture by Rhythm – the most sought-after luxury designer wear brand in Delhi. Wedding season is here and we have your back for all your wardrobe essentials. 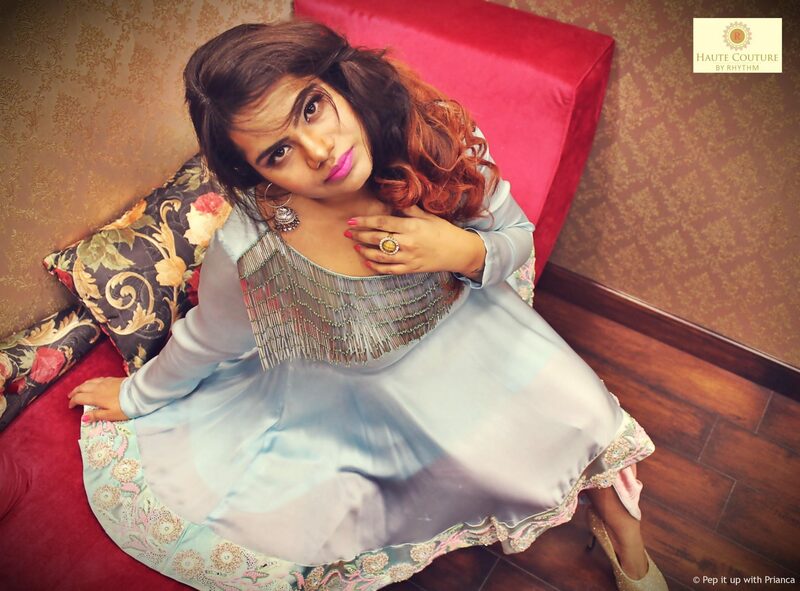 Rhythm, an upcoming designer based in Pitampura, New Delhi, started her designer studio in 2015. The brand emphasizes on sophistication and elegance. 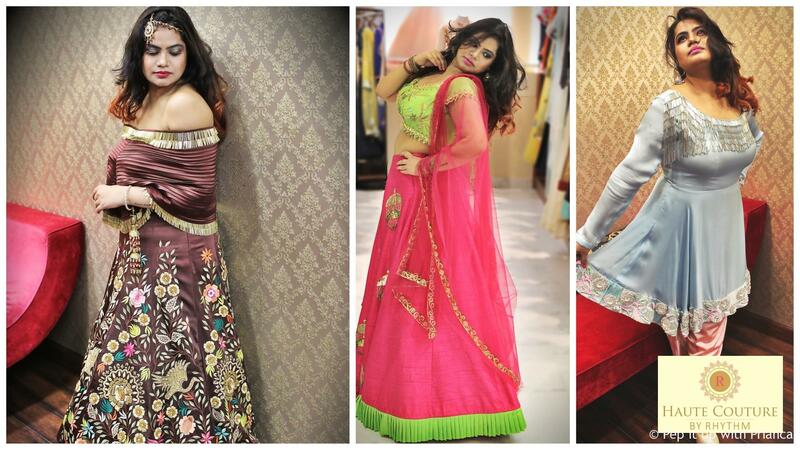 Haute Couture by Rhythm offers one of the largest range of designer fashion wear in the country. 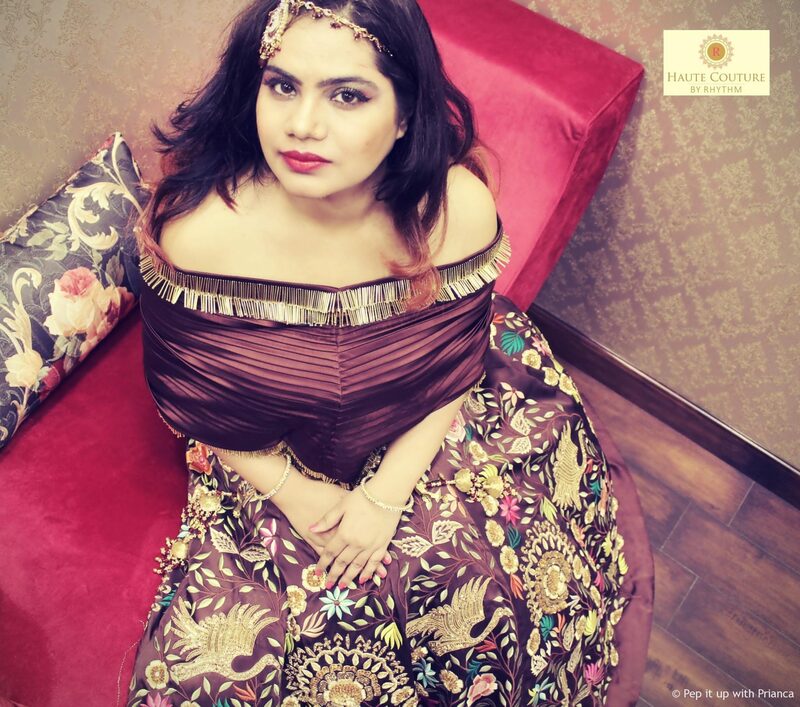 She believes that there is something for everyone; so, even if you are size 6 or size 12, you will be spoilt for choices at her fashion studio. 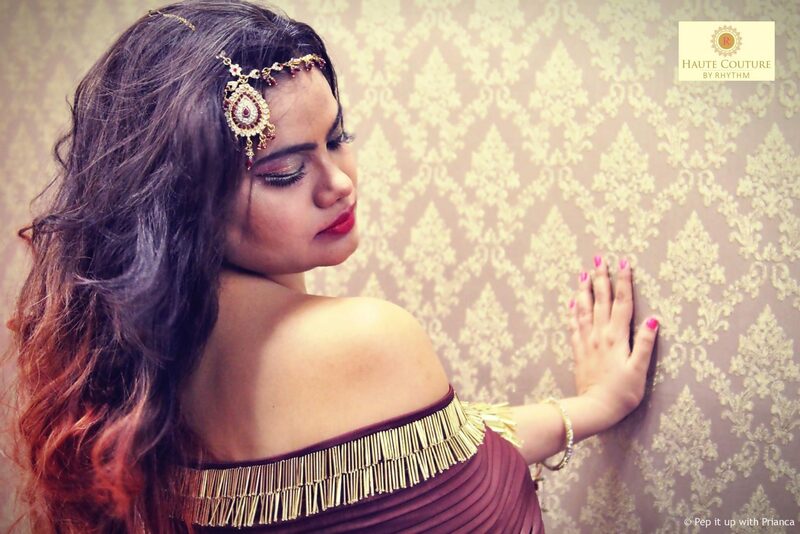 Glamorous and chic are the two words that best describe Rhythm and her Haute Couture store. She is a free spirited girl and allows her freedom of expression to create luxurious & wearable outfits that one can treasure for life. Rhythm’s designs are unique, dreamy and extremely appealing. If you are a looking for something contemporary yet classy with a traditional touch, then this store is a must stop. Haute Couture by Rhythm infuses love and detailing in each of her outfit. So, girls! Stop running from pillar to post and visit Haute Couture by Rhythm for your luxury designer wedding essentials. I recently shot for her latest wedding collection and the photos will leave you mesmerized. 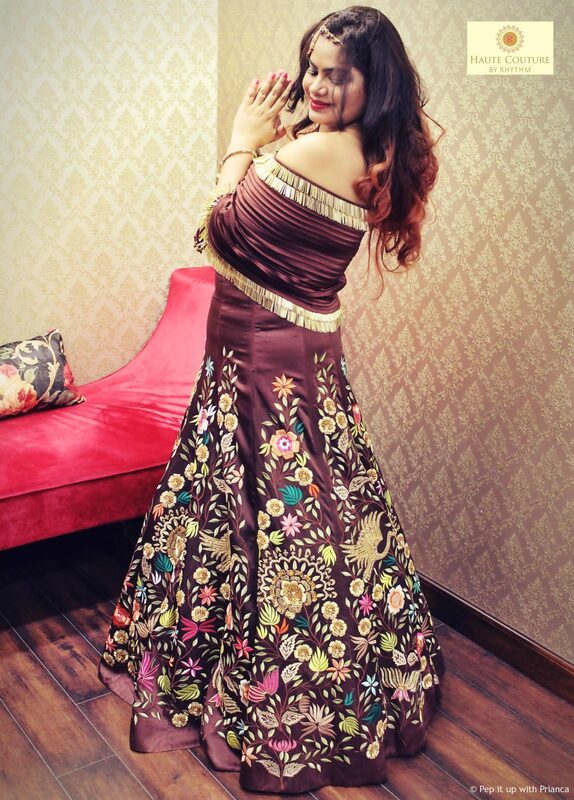 Raise the style quotient of the mehendi ceremony by opting for this contemporary and chic look. Haute couture by Rhythm introduces a combination of tulip pants and peplum top this season. The satin powder blue peplum top is beautifully crafted with hand work zardozi border and piping neckline and we bet you will fall in love with the baby pink satin tulip pants. Each piece from Rhythm’s collection have its own story and one such is this outfit. The embellishments are inspired by the traditional kaliras. The 3-D hanging on the hot pink raw silk skirt reflects the celebration that is significant to Indian traditional wedding. And to top it all, the frills on the skirt bring in the vintage look alive. 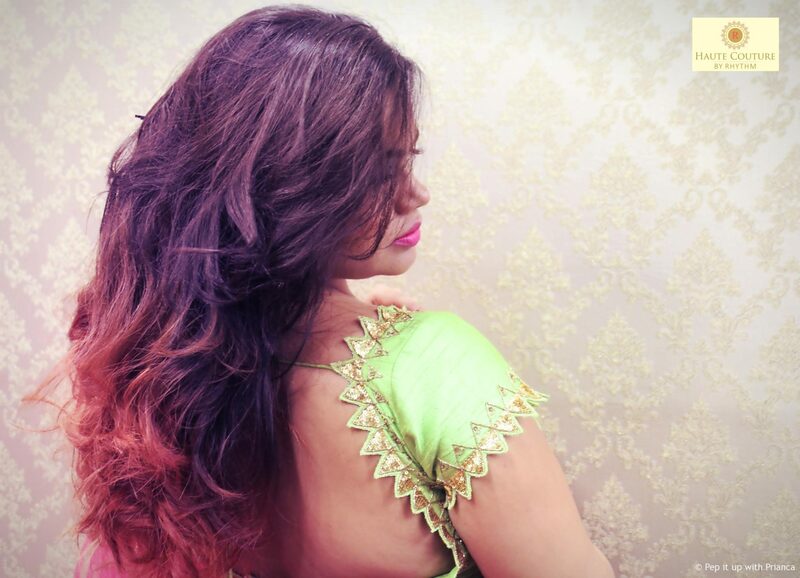 The parrot green blouse with kardana, cut work and net dupatta will surely make heads turn. 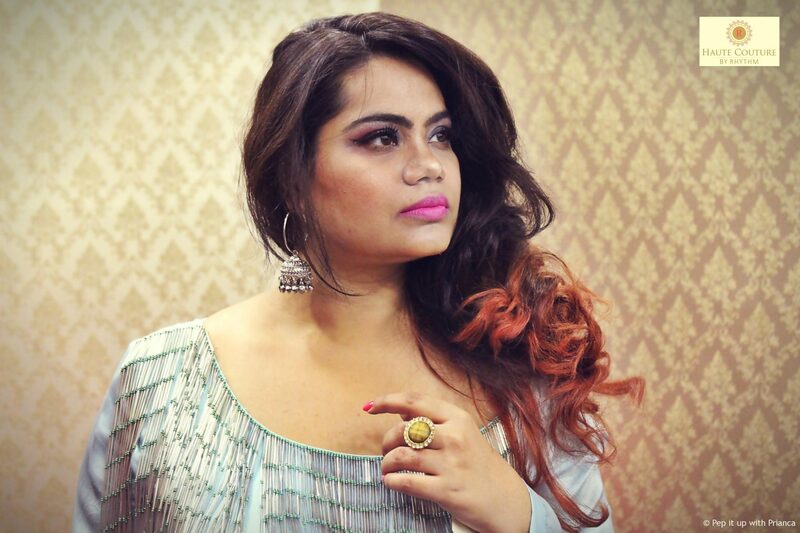 If you’re looking for quirky and eccentric Indo-western outfit then this one is for you. The off-shoulder fusion choli by Rhythm is a refreshing spin to the boring traditional choli. The piping and plates on the choli gives a fuller look for the bridal wear. The skirt is in ombre with machine and hand work. This piece showcases meticulous craftsmanship and will surely make you look voguish. 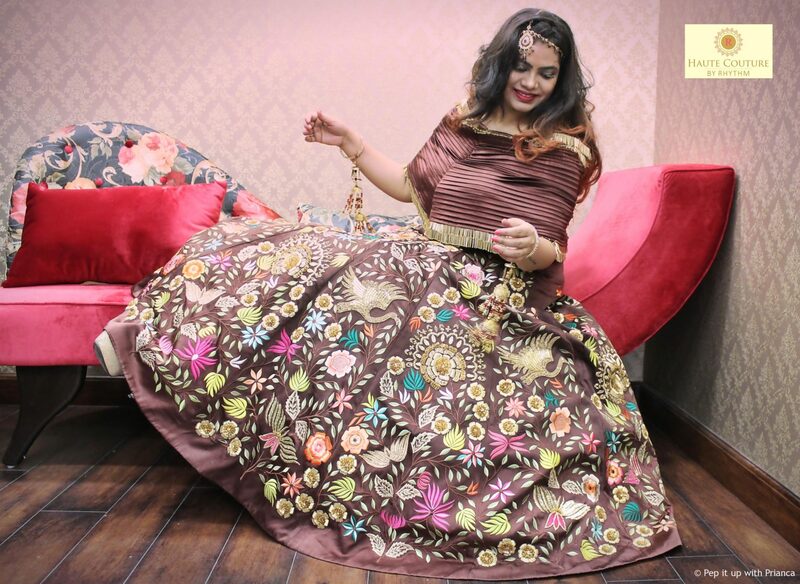 There are two duppata’s in brown and gold which can be draped to complete the look. To add the final bridal touch, you can choose a kundan set choker or diamond polka jewelry set with hath phools. So, this wedding season, head straight to Haute Couture by Rhythm (map below) and explore the splendid rich embroideries, classy outfits and elegant silhouettes for your special occasions.